It doesn’t make sense to do just one thing, and I don’t market myself that way on this site. This is why I’ve launched a little side-site with ONLY commercial work. I found lots of my work on YouTube, the Behance Network interface is great for streaming URLs, and it’s fun to make friends with other artists. Check it out! 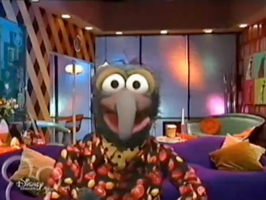 This is Gonzo, who is about to launch into “Dancing With Myself” in his fabulous apartment.